On this development, Ajinkya Firodia, MD, Motoroyale Kinetic Private Limited, said "The adventure & touring segment is the fastest growing superbike segment, and the SWM Superdual T has received a clear preference over the other motorcycles in this segment due to its unmatched capability to handle all types of terrains. We have hence decided to appreciate and reward the first 250 customers by offering them an amazing introductory price which is 6.5L ex showroom; making the price for the Superdual very attractive  especially because it comes fully loaded with accessories for which others are charging up to Rs 1 lakh. We are also hosting various training sessions and creating adventure tracks for our customers to be able to experience everything that this bike is capable of." The Superdual's engine has been updated to current day 600cc single, based on an old Husqvarna motor. It has liquid-cooling, fuel-injection. The gearbox is a fast-shifting 6-speed unit and the only electronics it has is ABS, which you can turn off for the rear wheel via a conveniently located toggle on the right switch cluster. 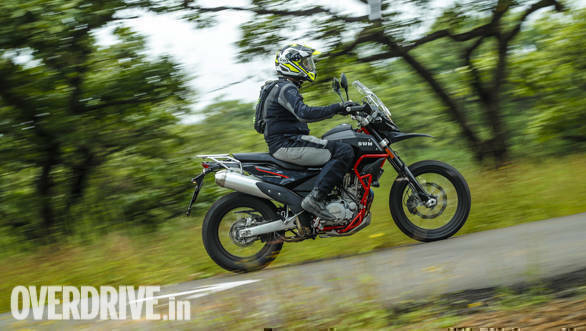 We have ridden the motorcycle and believe the SWM SuperDual is very likeable. The engine makes a lot of torque and while peak power is not a lot - 54PS - the engine feels exactly as snappy as you expect on a dirtbike. 0-100kmph comes up in 6.31 seconds and top speed is over 180kmph. Read our detailed review here.